Now, what shall we do with all the money? We often get asked, what the heck we are doing the whole day long. With our nerdy computer stuff and those geeky tools. And how we even can achieve to earn money with it. It seems it's still a kind of a miracle what we are doing, especially for those who are working in the traditional (German) marketing and media scene. You think this sounds weird? Especially as Germany is internationally considered to be THE automotive paradise — with its Autobahn, "The Ring", its cultural backgorund and all those premium car makers? Yeop, it's strange. But we got used to it. It's quite easy (… er … for us). Let me explain. When we rolled out our mother ship http://chromjuwelen.com back in 2005, it wasn't our intention to create another website, magazine, forum or community. Our vision was — and still is — to build a brand. A strong and on it own terms evolved brand which embodies a cultural habitus. A sender which inspires through its diversity. A winged word or "meme" which helps like-minded people to get connected to each other. Of course — we know it's absolutely maniac and ambitious. Especially when you choose a German brand name like "Chromjuwelen" (= Chrome Jewels) which nobody will understand behind our German borders. Maybe we fail, because we overestimate ourselves. But as products — like cars or automotive parts in particular — have become evermore (ho-hum) equal, and most responsible decision makers believe (due to ignorance) more and more in crippling controlling aspects than in vision, passion and gut feelings — we got bored to the same extent. We had a hunch there must be more people who feel the same. And getting feedback for our work substantiates our assumptions. Today we are convinced: People miss Movers & Shakers. But it seems there aren't too many courageous and visionary doer out there. And to make matters worse: We learned most people — especially car-minded — are hardly able to sort the daily info overkill produced by magazines, blogs and communities. Which means: they are gone. Because it's impossible for them to trace their 24/7 news feeds. Call it RSS, call it Facebook, call it Twitter, call it Tumblr ... call it THE INTERNET. 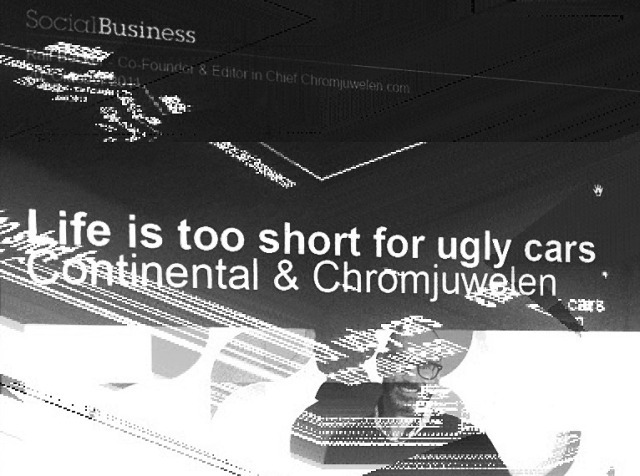 To keep it short: Our aim is to establish our brand Chromjuwelen as a lighthouse. A trusted beacon which helps sorting the good into the pot, while the bad ones go in the crop. In doing so we never intended to set the rules what is "kool" and what it is not — it is more that we are trying to curate as much inspirational content as we can find. The judgement, what is cool and what is crap, will be done be our readers. Over the years we gained a certain amount of reach. Not only national, but also international. It has been a mountain of grass roots work, as the differences between Germany and the rest of the world is sometimes ... well ... disenchanting. It's not only this funky language called "Deutsch" that differs us from the rest tot the world, it is more the mindset which is totally divergent. And no – we don't not push our luck by claiming everything "awesome", "amazing" or "magic" to succeed. Don't forget — we are Germans. This would not work. But anyway – we managed it. Which leads us to our first mainstay. $$$ #1. We get hired. As brand ambassadors. To produce content and media – or just for advertising. Of course we are aware of the whole discussion about "the industry is buying content". But honestly: we give a damn. If we like things, we will post 'em. If not, we don't. Needless to say: If we would present stuff which is smelling fishy, we would kill our brand. Comprehensible, right? At the moment a handful of car-makers and brands are rediscovering their roots, which gives us hope. New Mercedes-Benz SL? Absolutely! Showing your tires in a passionate environment? Of course! Combining "Art & Auto"? Yeah! But presenting a faceless product or service? No way. This leads us to our next business. $$$ # 2. We are an agency. We consult and create strategies. Because we learned to communicate over most different channels and act like daywalkers between the different scenes, we have the ability to advise companies. Nine times out of ten this is a job where we work in stealth modus — which means we don't publish our work. Instead of that we produce PPT-slides, conceptualize strategies, use our network. Apparently there are still some people out there who think buffoons like us who slam their cars are not able to read sources like "Business Insider". If you belong to those people, take a long walk off a short pier. Seriously — are you still convinced bloggers are dirty or communities like Facebook will harm your product? Didn't you ever come up with the idea most major publications produce solely streamlined SEO chow instead of honest opinions and valuable journalism? Good luck. But if you understand that things have changed, but you are not savvy enough — this is where we get into the game. Call it "blogger relations" or "social media". We have the ability to help you. Without those tools and strategies we wouldn't be able to feed our monsters like the "Monthly Grid". Not to mention we would fail to communicate with our worldwide network. Would we go so far to call ourselves "Social Media Consultants"? No. In our opinion social media is a totally overhyped marketing bullsh*t bingo phrase. It's crucial that you know what you would like to tell. And the rest will follow. Once your mission is set, social media is a perfect PR tool. No more, no less. Oh — you haven't got a mission? Go to work. Or ask — maybe we could help you. Oh, wait – you are looking for a huge number of Facebook fans to present 'em to your boss? Buy 'em – and whatever! $$$ # 3. Chromjuwelen Products. In the past we often got asked why we do not sell t-shirts. And hoodies. And lanyards. The truth is, that we are a.) living in Deutschland (where nobody wears t-shirts) and b.) those products are not scaleable. For most people, especially in Germany, this stuff is just merchandise. Don't get me wrong: I love wearing a Crank & Piston, Motoraver, Style-Deluxe, Höing Sportmotoren or Oldschool Racing Association t-shirt — to show who inspires me. 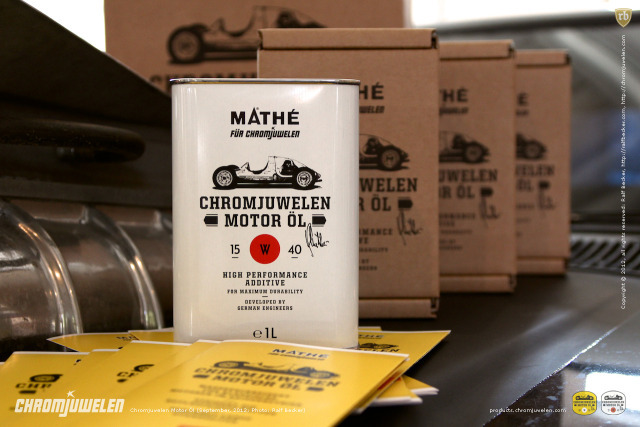 But for Chromjuwelen it has been crucial to debut with a product which is custom made for our family. Like we just did with our Chromjuwelen Motor Öl. We understand it is a rocky road to establish something like a motor oil. And you know how it is: "Good things come to those who hate". But starting with something like a motor oil makes clear what is our benchmark. In our case: It is more the classic products we are interested in. Products like an understandable auto detailing line or a tailor made and handcrafted goodie for your EDC. A question: If everybody is keen on products like the Deus X Tool Roll (Deus Ex Machina & Makr Carry Goods), Wrenchmonkees vs. Kansas, or brands like Eat Dust, Pike Brothers, Red Wing Shoes or Filson … why should we offer something stupid like a tacky soft shell jacket? 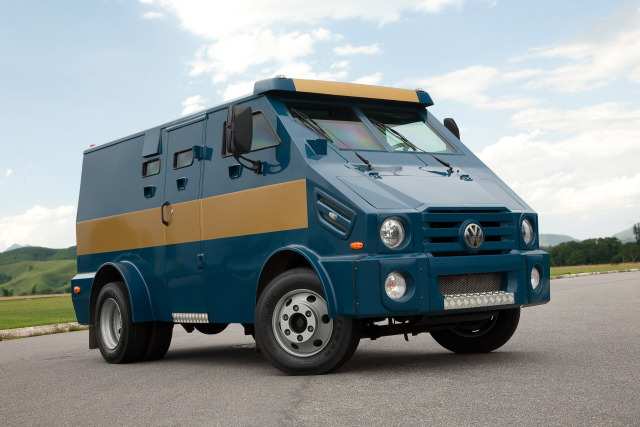 Do you think that would match your $30k classic car? Hmm. We don't.